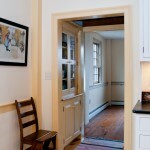 Our shop built the little hutch between the kitchen and the original dining room. 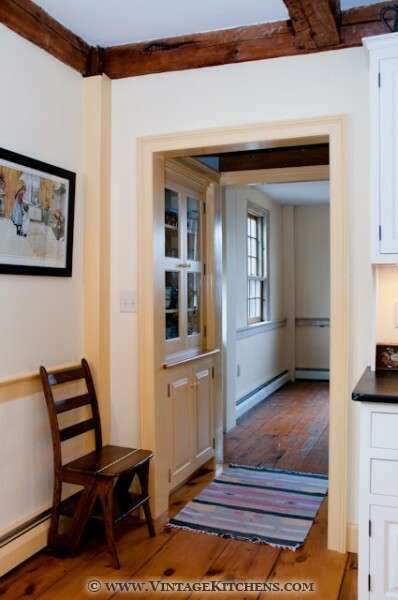 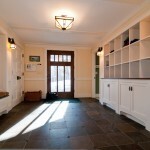 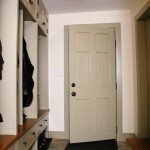 The reworked mudroom received built-ins by our own Vintage Custom Cabinetry. 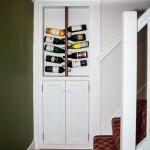 A narrow built-in at the foot of the stairs stores wine and holds a secret -- it is a Murphy AKA Harry Potter door that opens! 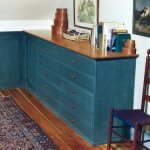 These milk painted built-in drawers with heart pine tops were inspired by an original Shaker tailor's table.